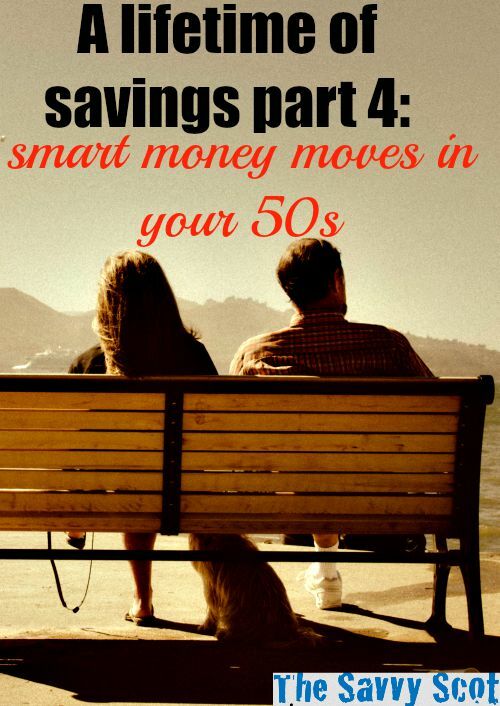 While in the past we have discussed the importance of saving money in your 40s, as well as how critical is to to financially plan and be smart about how to save money in your 30s, today we’ll follow up on the next decade of your life. One of the most important questions you can ask in your 50s is just how far you might be from retirement age. That is, how many more years do you need to work, and how many more years of money do you have the luxury of not having to work? Start doing this by figuring out your “number” – that is, the amount of money you’d need to spend on living expenses, and other things, every year after retirement to live comfortably. Then, it becomes simple math – how much do you need to save to achieve that number? How much do you need to work to get close to that number so you can retire comfortably? Many expenses won’t be there in retirement, such as work related expenses, however, you should plan for higher healthcare costs, maybe more leisure and travel too since you will have your days to yourself! What About Your Kids and College? For many in their 50s, this is the decade in which you will send your kids to college. Hopefully you have already been saving up money for this, but knowing that it costs a lot to pay tuition, can you cover it? How much do you have for their college expenses, and how much do you need? Budgeting for college needs to have been started in the 30s or 40s, but fortunately, you can continue that pattern well into your 50s as you pay for college without taking too big a personal financial hit. In your 50s, you are likely earning the most money you’ve ever earned in your life – but you are also likely paying the highest tax rates you have ever paid, too. That’s OK, as long as you understand you also may qualify for some tax breaks depending on your business expenses, college payments, housing and mortgage payments, and more. Figure out your tax burden and talk to an accountant about how you can best save money moving forward in life so you need not worry about running out of cash when you might need it the most. As your kids move out and head off to college, it’s time to start thinking about downgrading your house. Hopefully at this point, you’ve been able to develop your portfolio and mostly, if not completely, pay off your house. With that, then, it may be time to downgrade the house and think about how to sell it for a profit while moving to a smaller space. This net financial gain can not only give you some cover for retirement age and spending money, but it can also provide you the ability to move to a smaller house in which you have more control! If you have made it safe and sound to your 50s, that is awesome, however, like all of us, you are going to die some day. And you may need to cover health related costs, maybe a retirement home or even intensive care in your last years. How do you feel about your last years, where do you want to spend them? In a nursing home, at home with a cleaner and maybe a nurse? Since you are still healthy and thinking straight, now is the time to sit down with your family and talk about it. You can choose to upgrade your healthcare cover or have a dedicated fund to cover those expenses. It is not fun to think about dying or being unable to take care of yourself on your own, but your best move is to have a plan for when that happens. My mom is in her 50s now and she is wanting to retire at 55. She has a couple of more years to go before she has enough pension to do what she wants in retirement. Instead of downgrading their house, they are going to rent out their cottage in the back of the property on AirBNB. THey had some success with this last year and I am sure they will going forward. It’s a nice income supplement! I agree Healthcare and Life insurance are very important to consider and to develop a plan while you are healty and able to make lucid decisions. I would also recommend identifying a health care proxy!! I probably won’t be retiring early, but my wife will. We are on track to retire in another 9 years. We could probably do it earlier, but I want to make sure my wife will be set for another 45 years. She will only be 49 when we retire. We have also saved over $200k in our son’s college fund. It is more than enough to pay for in-state college or university. He says he wants to go to Stanford, though, which would currently cost $350k for 4 years. He is only 13 now. We will see where he goes after we say, “Here is the amount in your college fund, and these are the places it will pay for you to attend. If you want to go someplace more expensive, then you will have to come up with the money.” I will also try to impress upon him that student loans are not a good choice. That is fabulous already that he has $200K for college. Hopefully that savings pot grows well for him to allow him even more budget. You can have two years at the state college and then transfer to Stanford if you check which colleges Stanford have agreements with and choose an affordable one you can save a lot.